Delaware's seaport is your strategic gateway to world markets. 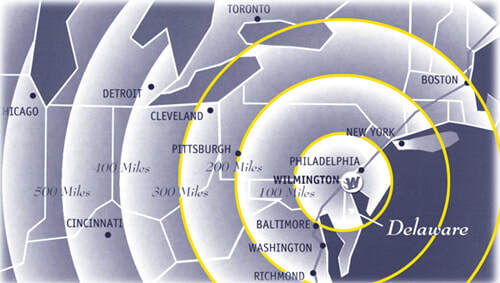 Wilmington is located at the heart of the U.S. East Coast providing shippers with overnight access to major markets. Our port is located just minutes from I-495, I-95, I-295 and the New Jersey Turnpike.